So, you have decided to transport your vehicle. One of the next steps in the auto transport process is deciding on the carrier that will ship your car to its destination. If this is your first time transporting a car, you likely have many questions regarding the differences between Open and Enclosed Auto Shipping. In Open Auto Transport, the car will be shipped on an open-air carrier with up to nine other vehicles. This is the most popular form of transport due to its affordability. 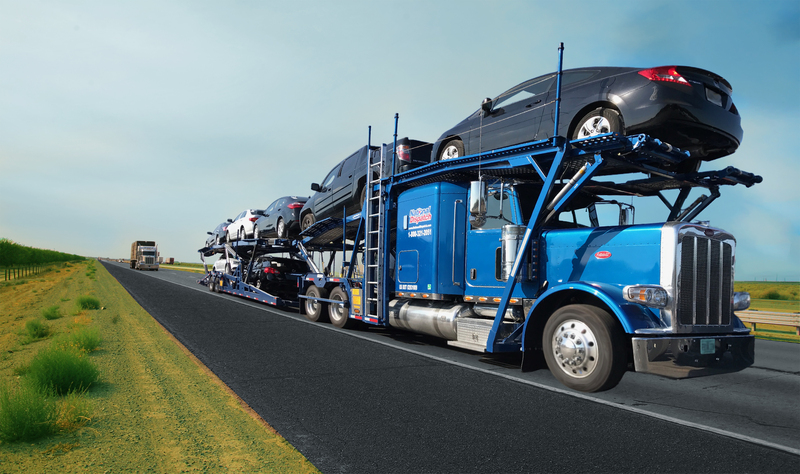 In contrast, you can choose to ship your car on a fully enclosed trailer through Enclosed Auto Transport. This method is more expensive, because the car will be shielded from all outside elements, such as dirt, dust, debris, and weather. Choosing an open versus enclosed carrier is primarily based upon personal preference and budget. An open-air carrier is the standard method of auto shipping. Here, we have listed a few scenarios in which individuals typically choose to use an enclosed carrier, instead. When shipping a classic car – To preserve the value of an antique or classic vehicle, many collectors will opt to ship their car over a long distance. By using an enclosed trailer, you can rest easy with a little added security. When transporting a high end model – If you are the owner of a high-priced luxury or exotic model, it may be less stressful to use an enclosed carrier. You will not have to worry about dirt and other natural road elements possibly getting on your brand new car. When needing to ship in poor weather – Unfortunately, there is no way to control the weather. If you are intending to ship at a time when there may be bad weather, choosing Enclosed Vehicle Transport can relieve some of your worries. For a free, instant car shipping quote, go to https://www.nationaldispatch.com/. You will receive a quote in seconds! No personal information is required. If you are ready to book a time for car shipping, call National Dispatch today at 800-321-2051. We are happy to assist you with any questions or concerns you may have. We look forward to hearing from you!